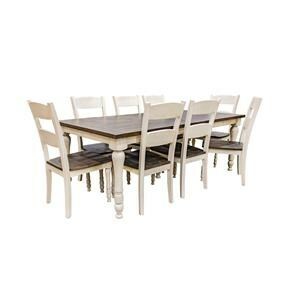 If you've been searching for the perfect farmhouse table to complete your dining room, look no further than the Vineyard pedestal table. 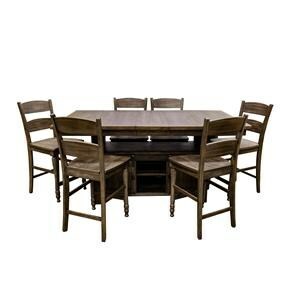 Your family will make treasured memories for years to come with this beautiful table at the center. 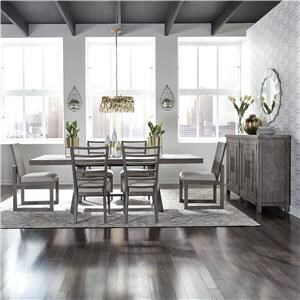 As an added bonus, this versatile dining table can easily go from casual Friday dinners to formal holiday dinners, and back again, with just a simple change in tablescape. 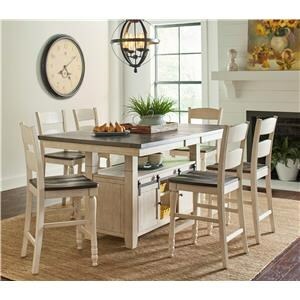 The beautiful linen dining chairs in ash and wheat are an ideal pairing with this pedestal table, providing comfort and style while maintaining a relaxed look and feel. 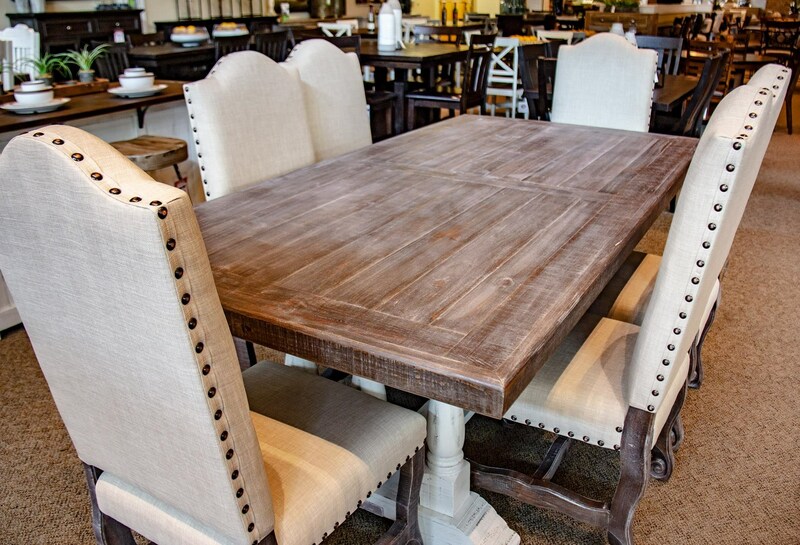 Beautiful nailhead trim and intriciate carved legs tie the aesthetic together. 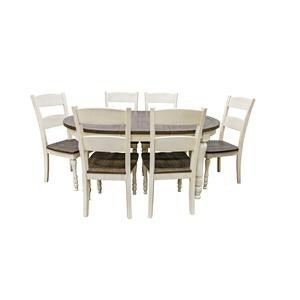 The Vineyard Pedestal Table with 6 Linen Dining Chairs by Vintage at Great American Home Store in the Memphis, TN, Southaven, MS area. Product availability may vary. Contact us for the most current availability on this product. 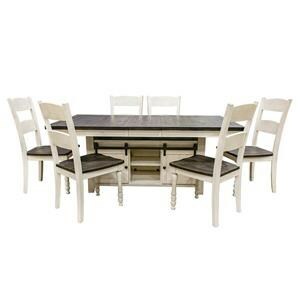 Browse other items in the Vineyard collection from Great American Home Store in the Memphis, TN, Southaven, MS area.